Need a mental workout? 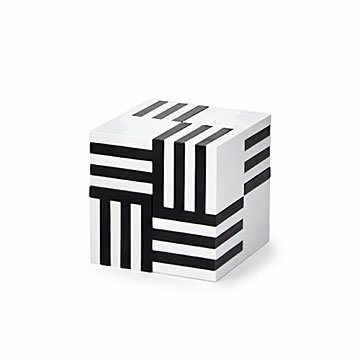 This brain teaser is part puzzle, part sculpture, and entirely cool desk decor. The thing about a puzzle is once you solve it, you can't solve it again. Discovering the answer is fun and rewarding, but once you know it, you're done. Unless you're playing with this clever block cube, that is. The pieces come apart and then fit together in multiple ways, so the possibilities for puzzlement are endless. And when epic desk sculptures or figuring out how the heck the interlocking pieces fit back into a cube aren't on the docket, the minimalist design makes a stylish little piece of home or office decor. Made in China.